Would you spend $75/month to have all of your employee data in one place and accessible anywhere? 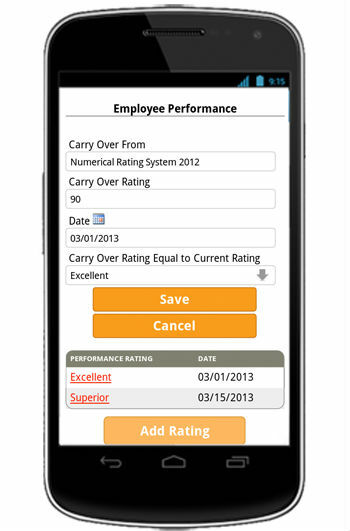 Want to see the Employees Module in action? Check these videos out. 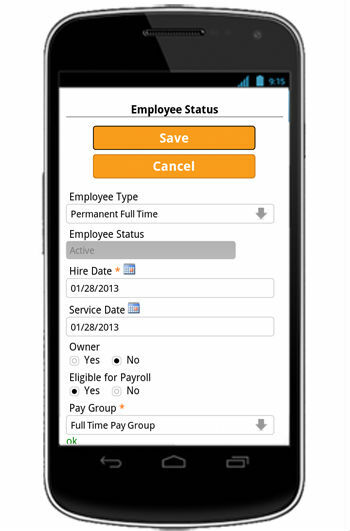 MobileHR automates the way you collect, store, update, track and use employee and company data. We provide all of the right data fields to ensure you are recording the data necessary to meet compliance regulations. We let you determine who has access to what, and what modules you choose to use. All of the necessary employee data exists in one secure, on-demand location, literally in the palm of your hand. Upload forms like W-4, I-9, employment agreements, resumes, job descriptions... anything you need. Keep records on current and lapsed employees. Once you complete your employee records, you can be confident about being compliant with labor laws. MobileHR can even send you reminders to update licenses, benefits, certifications and more. In addition, if you activate the employee and manager self-service functions, those people can help maintain their records, too. 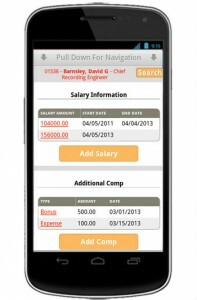 But MobileHR is far more than just an employee data app. It’s a company data solution also. 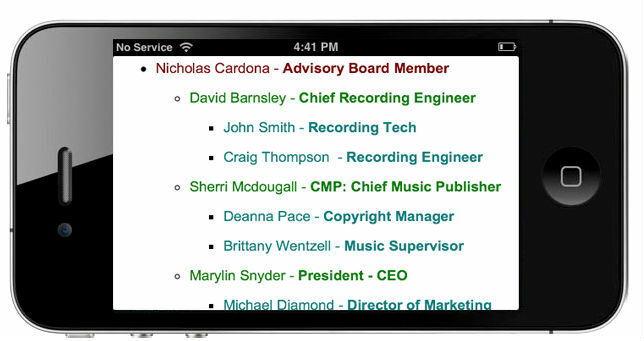 You can create org charts for the company. Authorized users can access the mobile company directory, look up an employee, initiate a call, send an email, scan or upload pictures of documents and forward to anyone in the organization, integrate information on to calendars, etc. There is no limit.